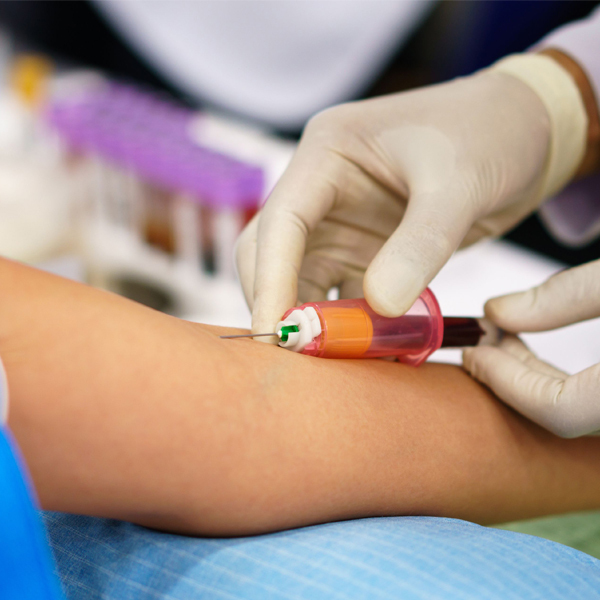 Blood tests are a routine part of most physical exams. You might wonder why you need a blood test. At GMP Medical, we care about your health and wellness. It is important to gain a clear and accurate picture of your overall health. We have found that blood tests can assist provide you the best possible care. A blood test is a sample of blood taken from the human body for diagnostic purposes. A blood test is used to detect an illness, recreational drugs, or toxic substances. 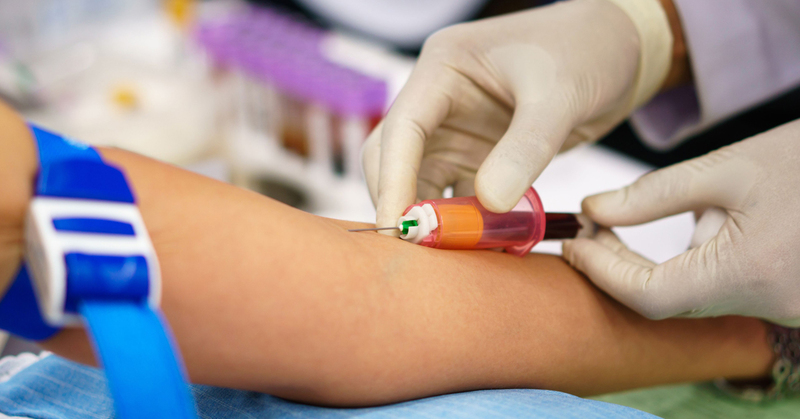 GMP Medical has a well-trained and licensed phlebotomist on our medical team to draw your blood at our location making it simple and easy for all of our patients. The amount of blood drawn from the patient may vary according to the specific tests ordered by Dr. Gloria Mendzabal Piedra. The process takes place while you are seated and generally takes a few short minutes. A test typically involves placing a needle into one of the blood vessels in the inside of your elbow or wrist. You will feel a sting as the needle goes in, but generally this is not particularly painful. A small sample of blood is taken and the needle is removed. The phlebotomist will give you a gauze pad or band-aid to apply pressure on the site of the injection, which stops any bleeding and should prevent bruising. Most blood tests take only a few minutes. Tests results are typically available after a few days. What do you have to have blood tests for? Blood tests assess levels of different chemicals, cells, and enzymes in the blood. A reading in the normal range may indicate that a person is healthy, while low or high levels may indicate that a person has an illness or infection. Blood tests can reveal high cholesterol or dangerous sugar levels associated with diabetes. One of the more common blood tests ordered is what is referred to as a CBC (complete blood count). A CBC tests for a variety of different health problems or diseases. In many cases, visiting a blood work lab does not require any preparation. In some instances, you may need to abstain from eating for several hours before the test. Your doctor will advise you on how to prepare. Blood tests can provide definitive answers. In essence, they can eliminate a lot of guesswork and help make sense of symptoms or clues in one’s health history. An excellent example of why one should have a blood test is to assess how well your organs are functioning. A blood test can also determine a patient’s overall risk for heart disease. Doctors rely on blood work to help accurately diagnose and assign a treatment protocol. A blood test isn’t something to be afraid of or avoid. GMP Medical has created an environment to make blood testing more comfortable and convenient. Our experienced medical staff performs blood work in house, so visiting an external lab isn’t necessary. Dr. Piedra has over 25 years of experience and is dedicated to helping all of her patients stay in the best possible health. Proudly serving the greater Miami area, GMP Medical welcomes you to schedule an appointment to get started on your blood work at one our Hialeah office today.